As an IB World School, Chatsworth International School offers the International Baccalaureate (IB) continuum of international education - IB Primary Years Programme, IB Middle Years Programme and IB Diploma Programme. Informed by the values in the IB Learner Profile, Chatsworth students strive to become inquirers, knowledgeable, thinkers, communicators, principled, open-minded, caring, courageous, balanced and reflective. The Learner Profile is embedded into everything we do at Chatsworth. Our entire school community is encouraged to recognise and support these attributes. The first of the three programmes from the IB is the Primary Years Programme (PYP) that caters to students in Kindergarten 1 through Year 6 (Grade 5). Students inquire into a wide range of transdisciplinary units across the school year, based around engaging global themes. These units all involve deep thinking, investigating, questioning and personal skill development. Approaches to learning - this demonstrates the commitment to approaches to learning as a key component of the MYP for developing skills for learning. Approaches to teaching - this emphasizes the MYP pedagogy, including collaborative, authentic learning through inquiry. Key Concepts - this shows the emphasis placed on a concept-based curriculum. Global Contexts - shows how learning best takes place in context, and can help to develop international-mindedness. The IB Diploma Programme is offered to students in Years 12 and 13 (Grades 11-12). It is a challenging programme addressing the intellectual, social, emotional and physical well-being of students. 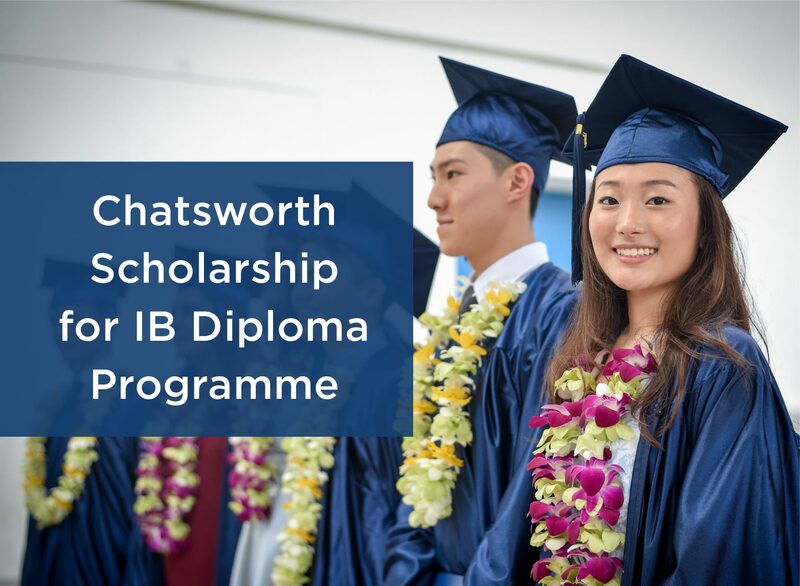 A smaller percentage of students complete school with the IB Course, taking IB Certificates to earn a Chatsworth High School Diploma. Preparing students for university and life beyond is at the forefront of the DP.